A spine more than 9 feet long and Dinosaurs fossils from a species of the long-necked titanosaur family were found in North American on Friday at a Cincinnati museum. From 2005 to 2007 in China's Henan province, four of the fossils are among at least a dozen that were found. The spine and three vertebrae came from a titanosaur. 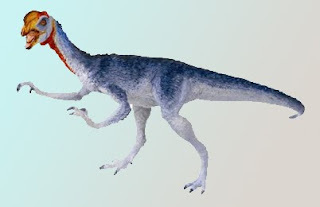 The paleontologists believe was 30 feet tall, close to 100 feet long and probably weighed 32 to 87 tons. Officials at the Cincinnati Museum Center said the fossils in the exhibit date back to 144 million to 100 million years ago. After the fossils were recognized and researchers found that villagers in the region had been digging up dinosaur bones for centuries and they believing them to be dragon bones and grinding them up for medicine. Daoping Bao, president and CEO of Dinosaurs Unearthed Corp said "Henan could become the largest dinosaur field in China”. The exhibit also includes a fossilized nest of eggs laid by an unknown species of the feathered, beaked oviraptor. The eye-catching attraction that first greets exhibition visitors measures more than 5 feet in diameter and contains 26 eggs averaging a foot or more in length and laid in pairs around the edge of the round nest. The Cincinnati exhibit will continue through mid-October, when the collection will be included in a larger Dinosaurs Unearthed exhibition of the Chinese fossils set to begin touring the United States and Canada. Sites have yet to be announced.